Running Rig. Discounts Apply ! 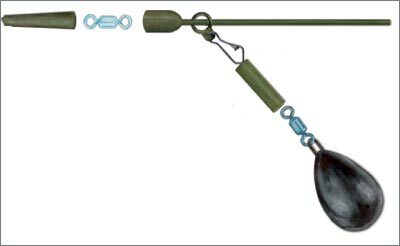 This is the classic of carp rigs. In this rig set, run rings with large diameter were used in order to reduce the line friction to minimum and prevent fish from feeling any resistance. In case of a snag the lead will be released.